Hi lovelies! 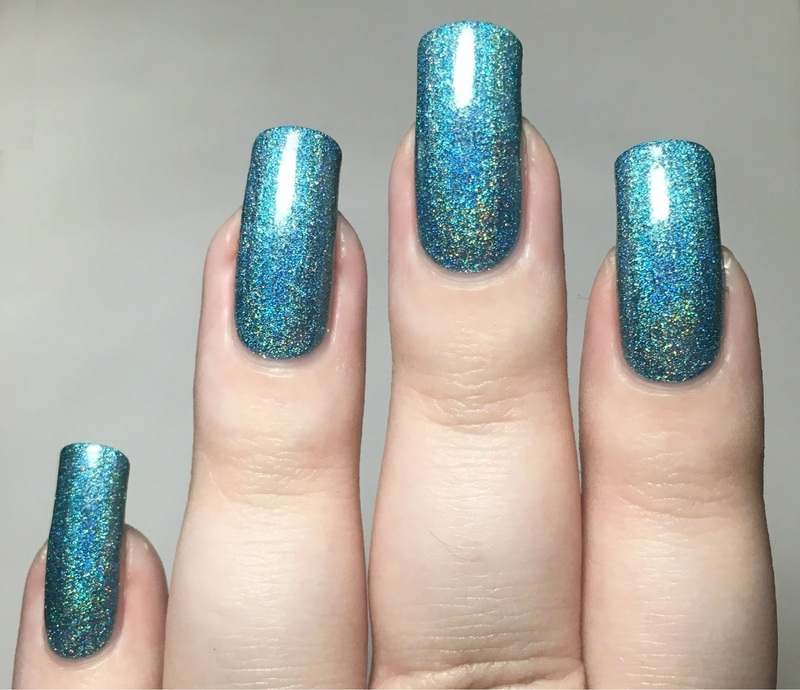 Today I have my swatch of Nine Zero Lacquer 'May 2016' to share with you. If you missed my swatch of 'April 2016', you can find my post here. May has gone so fast that I almost forgot to swatch the corresponding polish - thankfully I've managed to sneak it in for the last day of the month! Read on for my swatch and more info. 'May 2016' is described as an 'aqua blue holographic with holographic silver microglitter added in for extra sparkle'. The formula is gorgeously smooth and so easy to apply. It is a little bit sheer on the first coat, but covers completely with a second. Below is two coats with topcoat. What do you think? Isn't it gorgeous! 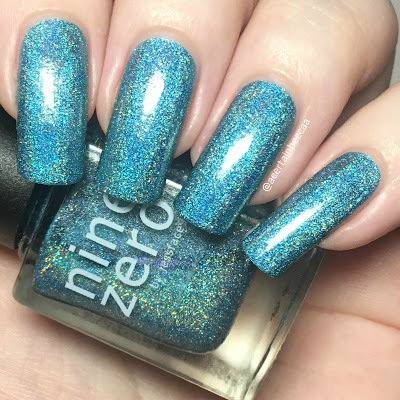 This is one of my favourite shades of blue, and I think it would work amazingly for a sea-themed mani. I've probably said it before, but I absolutely love the brushes on Nine Zero polishes. It is so easy to apply the polish neatly, and I barely ever need any clean up. You can find 'May 2016' on the Nine Zero Lacquer website here. Gorgeous swatch and I love how it leans toward the teal side of blue. You're right it would look beautiful used in a mermaid mani.